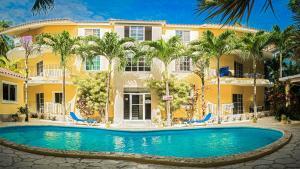 ﻿ Best Price on Stanza Mare - Bavaro Beach - Swiss Dream in Punta Cana + Reviews! Offering an outdoor pool, children's pool and private beach area, Stanza Mare - Bavaro Beach is located at the beach, at an area ideal for golf and horseback riding. All air conditioned units include a seating and some of them also a dining area. Some units also have a kitchen, fitted with an oven and microwave. Stanza Mare - Bavaro Beach also features a common barbecue area and an on-site restaurant where guests can enjoy a variety of meals and drinks. You can play darts and volleyball at the property, and activities such as such as snorkeling, windsurfing and diving are available nearby and in Bavaro Beach. 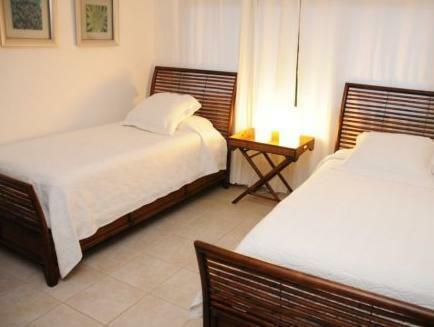 Cap Cana Marina is 13 mi from Stanza Mare - Bavaro Beach, while Playa Juanillo is 13 mi from the property. 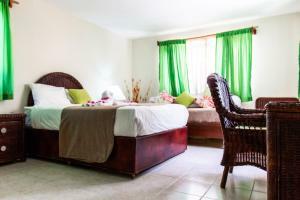 The nearest airport is Punta Cana International Airport, 8.7 mi away. Shuttle service to the airport is available for an extra fee upon request. Please contact the property for more details. A refundable security deposit of USD 200 is required upon arrival for incidentals. Guests are required to show a passport and credit card upon check-in. Guests are required to show a photo ID and credit card upon check-in. Please note that all Special Requests are subject to availability and additional charges may apply. Please inform Stanza Mare - Bavaro Beach - Swiss Dream of your expected arrival time in advance. You can use the Special Requests box when booking, or contact the property directly using the contact details in your confirmation. This property does not accommodate bachelor(ette) or similar parties. A damage deposit of USD 200 is required on arrival. This will be collected as a cash payment. You should be reimbursed on check-out. Your deposit will be refunded in full, in cash, subject to an inspection of the property.